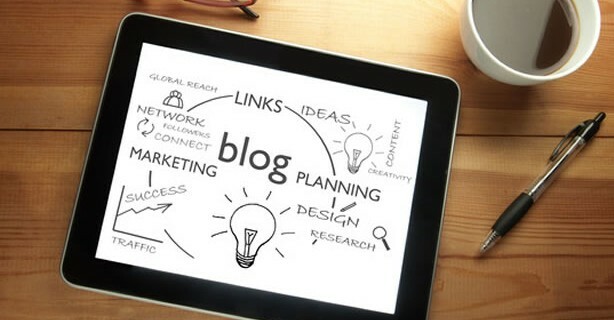 Following on from our post about why you should blog, here are our top tips for making your blog a success. The first question most people ask themselves is what will I blog about. However, we would suggest that the very first thing you ask yourself is “Who am I trying to reach?”. Who is your target market? Once you know who you are trying to reach, consider what they would like to read about. We often find inspiration for our blogs from questions we are asked by our clients. Things they want to know about or better understand. It is also good to comment on stories in the news and current trends that will be interesting to your target market. Be seasonal when you can; the season and weather are important to everyone so make sure your message is right for now. By adding tags to your blogs you make it more likely that people will find them. Select tags that are relevant to the content of your blogs and that your think your target market will search for. Try to put yourself in their shoes and use their language. It is no good if your tags are technically correct, but are too formal or technical. Share Your Work on Social Media. More than once! Many people will share their blog post on their social media by just posting the title and a link. We would suggest you think outside the box when posting about your blog. Try to come up with as many catchy lines as you can to draw people to click the link and read more. If you are sharing on different social media, your message can be tailored to that audience. If possible, use a featured image with your blog post. The internet is a visual place and having an image that connects with the content of your blog post can be very powerful. Make sure you have permission to use the image you select. This is essential! Pulling an image off someone else’s website or off a google search is not a good idea. You could face fines or penalties for copyright infringement. To be safe, use images you have taken yourself or someone has given you, images you have paid a photographer to take for your business or images you have bought. There are many stock photo sites available and you can purchase a photo for as little as a dollar. Writing your blog can easily slip down your list of things to do and before you know it months have passed since your last blog. We recommend setting yourself a realistic schedule for blogging and sticking to it. Once a month, twice a month, once a week or more. Be realistic about your time and commit to a schedule that works for you. Our final tip is to allow comments on your blog. Some people worry that they will get negative comments, so they feel the need to turn this feature off. However all good blogging systems will notify you when you get a comment and you will have the choice to approve or disapprove. Blogging is all about engaging with your target market, so make it as easy as possible for them to talk to you. If you need any help with your blog or would like to chat with us further about how it can work for you please do get in touch with us at office@coastalvas.com.